Python or snake print has been around forever but this season I noticed a huge trend with this print on shoes! Instead of a plain black boot why not add interesting texture? I love the black Sam Edelman booties I'm wearing in this post. Personally I struggle with snake print because I can find it quite tacky in a lot of cases so this black on black has a more subtle look that won me over. 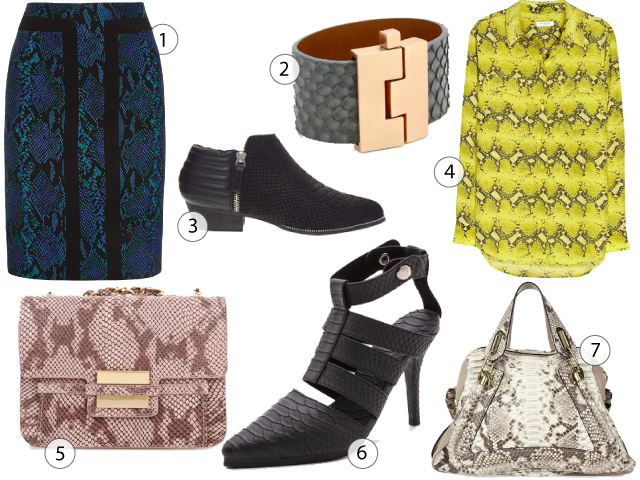 Below are a few other pieces in in the print that I would totally wear! great look! I agree with you that it is hard to find this print in a way thats not so tacky.